BPCR! new to the game or want to use them for sport and/or hunting? MUZZLELOADERS! new to them or want to use them for sport and/or hunting? Got my new hogleg today! What load for 50 caliber Lyman Plains Pistol? 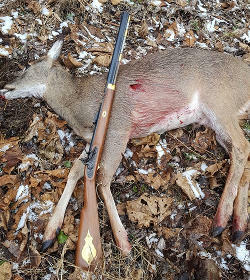 My new 62 caliber flintlock rifle!